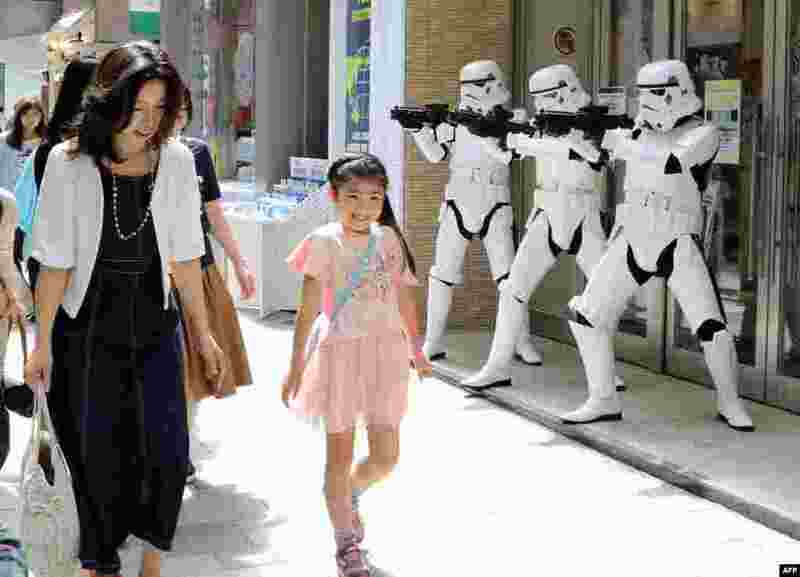 1 Pedestrians pass before Storm Troopers at a toy shop in Tokyo. May 4th is called the "Star Wars Day" among Star Wars fans as the famous phrase "May the Force be with you" in the movie sounds like "May the 4th be with you." 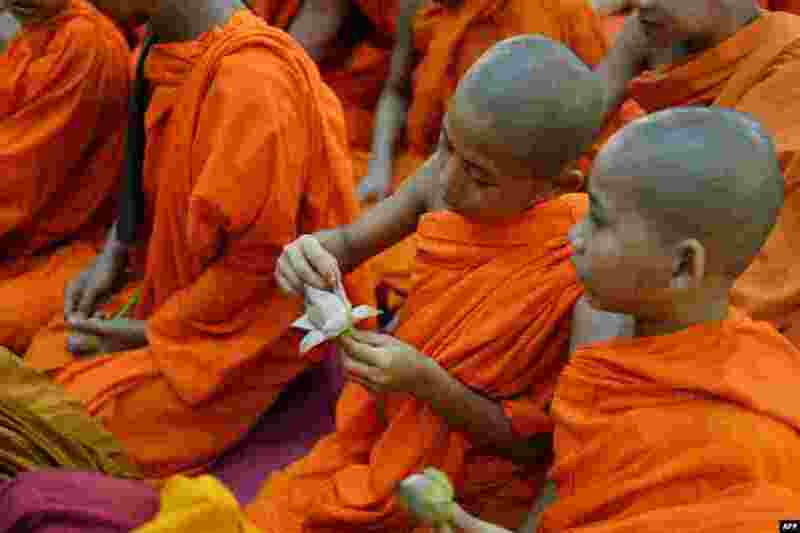 2 A young Indian Buddhist monk opens the petals of a lotus flower as he sits with others while offering prayers on the occasion of Buddha Purnima in Bangalore, during the 2559th Buddha Jayanthi or birth celebrations of Buddha. 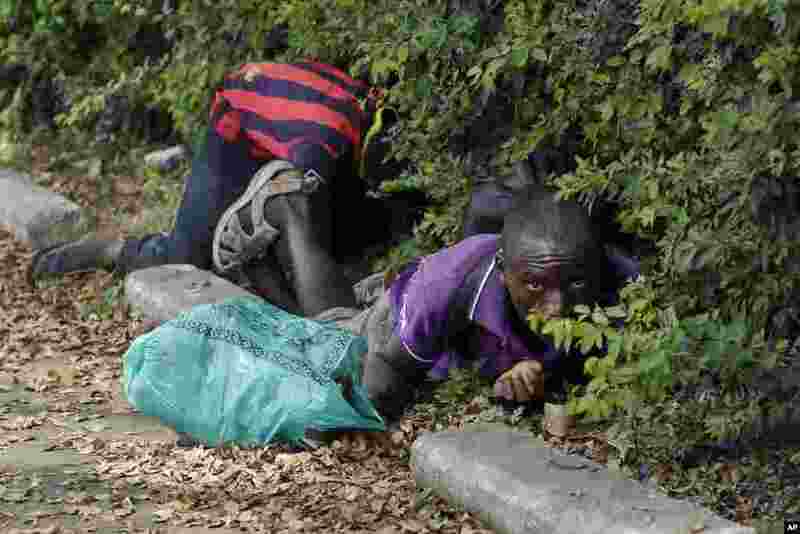 3 Men duck for cover as shots are fired in Bujumbura, Burundi. 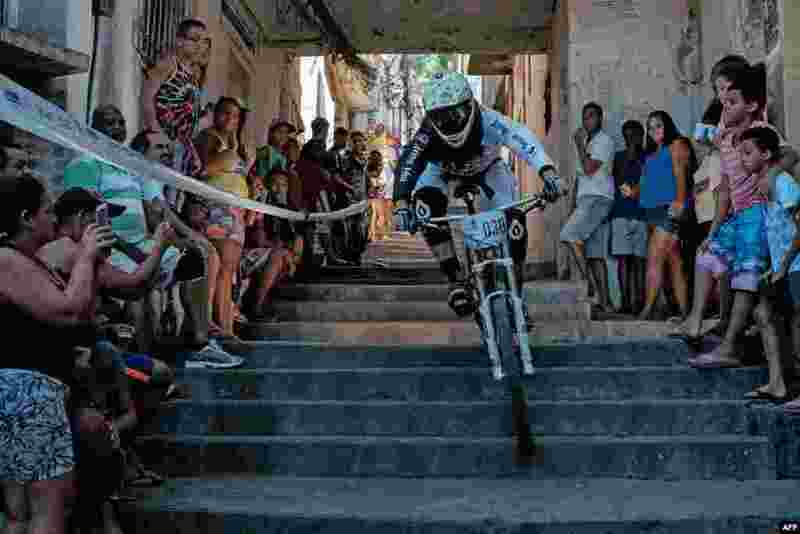 4 A competitor goes down steps of an alley during the Favelas Mountain Bike circuit at Turano shantytown in Rio de Janeiro, Brazil.